MORTON, Miss. 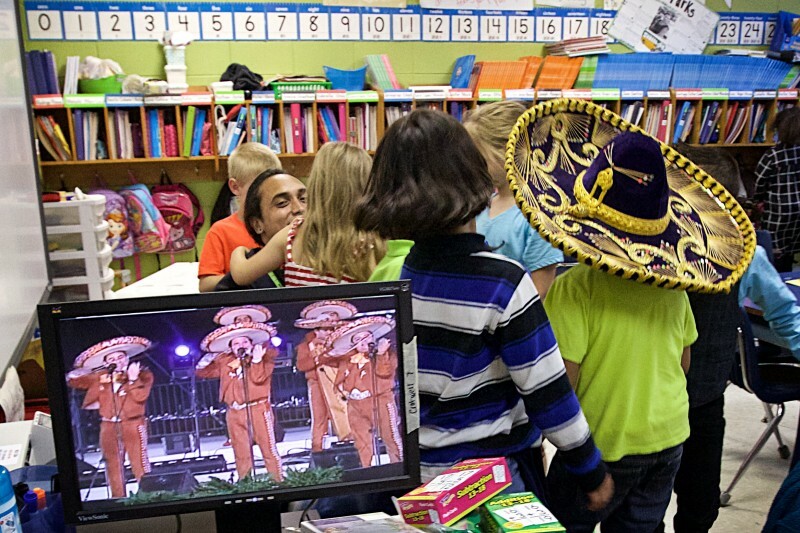 — It’s Cinco de Mayo in Christy Crotwell’s class, and Luis Antonio Hernandez is reading the first-graders a story about the holiday’s origins. He reads each page twice — once in English, once in Spanish — and the students give him their full attention. One kid wears a large sombrero in honor of the occasion. If only every moment at Morton Elementary School were so tranquil for Hernandez, the only full-time translator here and one of just two Spanish-speaking staffers in a school where nearly a third of the students speaks Spanish. He spends most days racing from class to class, helping out as needed. It’s a hectic job. Like many schools across Mississippi, Morton is scrambling to adjust to an influx of Spanish-speaking students for which it was completely unprepared. In a state that ranks at or near the bottom in education spending nationwide, it can be a challenge just to maintain buildings and stock classrooms with basic supplies. 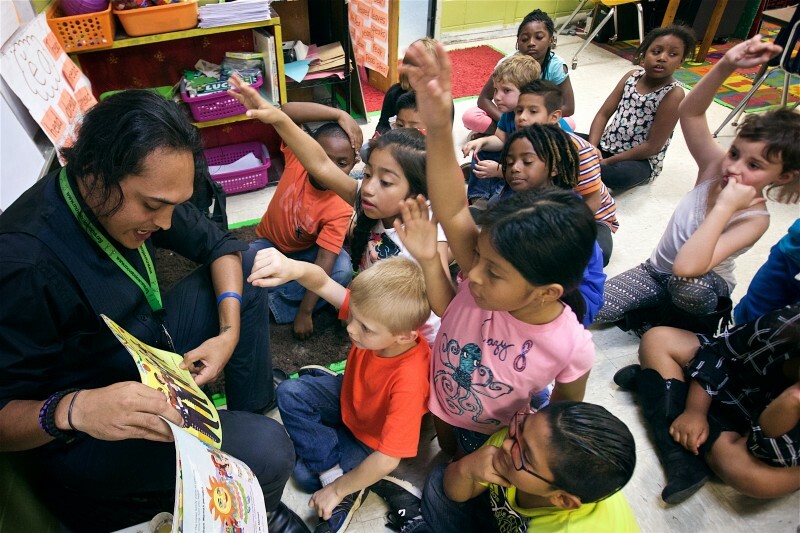 It’s hard to find money to pay for teachers who specialize in helping kids who are learning English, known in academic circles as English Language Learners — ELLs for short. 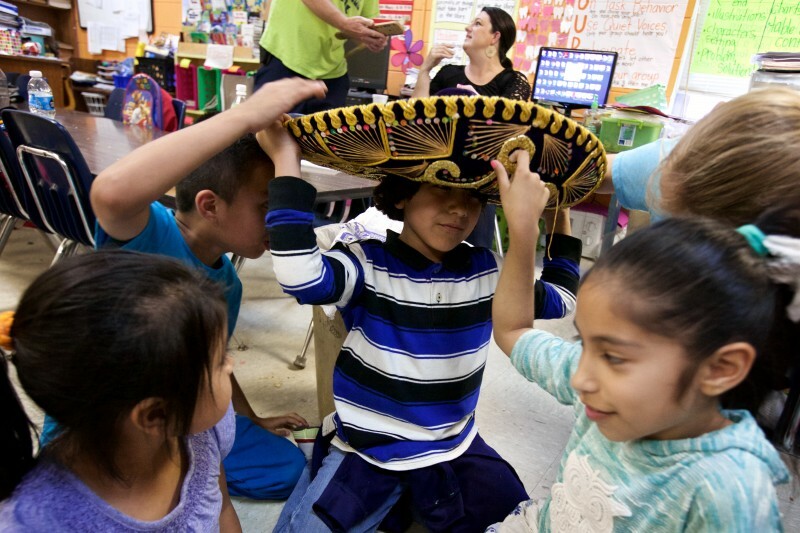 The state doesn’t allocate money for ELL programs, and direct federal funding for ELL kids everywhere is sparse — just $230 a year per student. The federal money is restricted to districts with at least 76 ELL students. Schools that receive Title I funding — those with high numbers of low-income students — can use some of that money to support ELL, but it means taking it away from other areas of need, according to an ELL specialist at the Department of Education. The Hispanic population is booming across the South, as newcomers take jobs in the construction, farming and food processing industries. According to a Pew Research Center analysis of census data, nine of the ten states with the most rapid Hispanic growth are located below the Mason-Dixon Line. Between 2000 and 2011, Mississippi’s Hispanic population more than doubled, growing from 37,000 to 81,000. Hispanic advocates say the census significantly undercounted Hispanics; they estimate as many as 200,000 now live in the state. Among the regions that have seen the most dramatic growth is Scott County, home to Morton Elementary, a public school about 35 miles east of Jackson, the state capital. The student body, now roughly 750 strong, is about one third white, one third black and one third Hispanic. The number of ELL students has tripled over the last three years, rising to 162, as jobs at a Koch Foods poultry plant, just a few blocks away, attracted Hispanic workers. 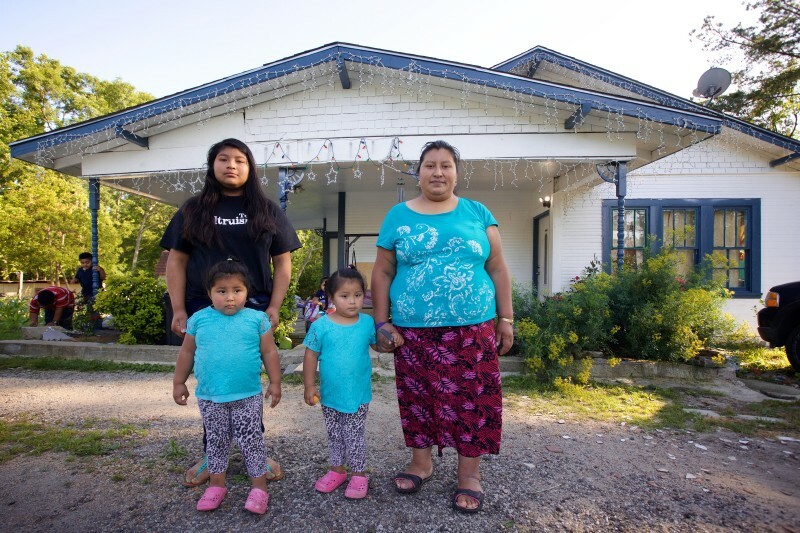 A massive operation that is the backbone of the town’s economy, Koch Foods is a magnet for immigrants from Mexico, Guatemala and El Salvador, the countries that fuel the majority of immigration in Mississippi. The plant looms over this rural crossroads town of 3,500 people, where the sole clothing store, its doors closed long ago, was recently replaced by a Mexican market and restaurant. Maria’s Mercado, another Hispanic convenience store, is just a hop, skip and a jump from the local barbecue joint, The Ribcage. Hispanics began arriving in Morton during the late 1980s, according to Tito Echiburu, a native of Chile, who played a large role in bringing them here. Echiburu, 72, is the chief financial officer at the Bank of Morton. The first Hispanic in town, Echiburu followed a circuitous path to Morton. A standout Chilean tennis player, he had been recruited to play on the team at Mississippi State, where he earned a business degree. After graduation, he returned to his home country, where he worked at the Arthur Anderson consulting firm and the Firestone tire company. But in the early 1970s, political conflict roiled his homeland, and Echiburu agreed to take a job as a tennis pro at the tony River Hills Tennis Club in Jackson. One of his students was John Rogers, whose family owned the Morton poultry plant until Chicago-based Koch Foods, the nation’s fourth-largest poultry producer, bought it 15 years ago. Rogers hired Echiburu as the plant’s chief financial officer. The company, then known as B.C. Rogers Poultry, was having trouble filling the overnight shift. The plant ran 24 hours a day, and the work on the line was brutal — slaughtering and deboning chickens, packing frozen chicken parts. Rogers, who had seen a TV news segment about out-of-work Hispanic immigrants in Florida, sent Echiburu to Miami to investigate. Echiburu placed a help wanted ad in the Miami Herald, and, two weeks later, filled a Greyhound bus with 40 Cubans headed for work in Morton. The bus made that trip once a week for a year or two; before long, hundreds of Miami transplants were working there. Many newcomers found transition to small-town life difficult, Echiburu said, and at first, they didn’t find a warm reception in town. Some locals complained about drunk and disorderly conduct, and said the newcomers did a poor job of maintaining their property. And after the new arrivals’ first few months in Morton, somebody called immigration authorities, who swooped into town in a helicopter, searching for undocumented immigrants. But they only found a handful, Echiburu said, because most of the new workers had received asylum in the U.S. after fleeing communist Cuba. The Cuban workers, accustomed to the excitement of Miami, quickly became disenchanted with small-town life, and many left. “They called Morton ‘El Monte’ — the woods,” Echiburu said. So the company shifted its recruitment efforts to Texas, and its thousands of workers from Mexico and Central America. The plant brought close to 5,000 Hispanic workers to Morton during the 1990s, said Luis Cartagena, Echiburu’s brother-in-law, who was hired to oversee the company’s recruitment efforts. Since then, word of the jobs in Morton has spread through immigrant networks by word of mouth, and a recent wave has brought many Guatemalans to town. No one knows how many of Morton’s newest residents are undocumented. The immigrants keep coming because jobs are plentiful and housing is cheap. And many of the newcomers say they appreciate the peaceful small-town atmosphere. Among these new residents is Josefa Matias, a Guatemalan whose husband earns about $600 a week deboning chickens, the most lucrative job at the plant. Matias also worked at the plant for several years, and the couple managed to save enough to buy their own home. Matias’s daughter Maria, a student at Morton Middle School, grew up in Mississippi and speaks English with a southern drawl. “I do a lot of translating for my parents when one of my sisters is sick or my mom needs to go to the doctor,” Maria said. When Hispanic students first began attending schools in Mississippi, many school districts refused to enroll them if they didn’t have immigration papers, said Bill Chandler, executive director of the Mississippi Immigrants Rights Alliance, or MIRA, a nonprofit advocacy group. School officials were unaware of the Supreme Court’s 1975 ruling in Plyer vs. Doe, which required schools to register students regardless of their immigration status. Some districts, he said, feared that Hispanic students would drag down their test scores, which might result in a loss of federal funding. In 2002, MIRA and its allies in the state Legislature managed to pass a bill clarifying the responsibility of school districts to enroll students on proof of age, not nationality. A few school leaders dragged their feet even after the law was passed, but were eventually persuaded to comply. By MIRA’s count, state lawmakers have filed 296 anti-immigrant bills since 9/11, including an English Only bill and another piece of legislation that would have required police to stop anyone suspected of being undocumented and ask them to show papers proving their right to residency. Donald Trump, the presumptive Republican presidential nominee, won the Mississippi primary handily in March, with his call for a massive border wall between the U.S. and Mexico. And Gov. Phil Bryant, who has endorsed Trump, also supported a legal challenge by the Texas attorney general opposing President Obama’s efforts to ease some immigration restrictions. The arrival of Hispanic immigrants has changed the dynamics of a region that has seen race and ethnicity primarily through a black-and-white lens. For decades, Jim Crow kept schools separate and unequal. Long after the Supreme Court ended school segregation with its 1954 decision in Brown vs. Board of Education, race remained a contentious issue in the educational sphere, and many white families enrolled their children in private schools known as “segregation academies.” White flight from urban areas caused further re-segregation. According to federal education statistics for the 2013-14 school year, Hispanic students in Mississippi lagged behind their white peers on 8th grade math and reading tests, with a 65 percent proficiency rate in math and a 54 percent proficiency rate in reading, compared to 77 percent and 66 percent for whites. They outscored African-American students in both subjects by 8 points. The graduation rate for white students was 84 percent that year, 80 percent for Hispanics and 71 percent for blacks. With immigration changing the face of public schools like those in Scott County, the student body at many schools is a patchwork of black, white and brown. “The growth has happened so fast, nobody has had time to prepare for it,” she said. When Hernandez, the school translator, is too busy to help, Herring sometimes resorts to using a translation app on her smart phone. 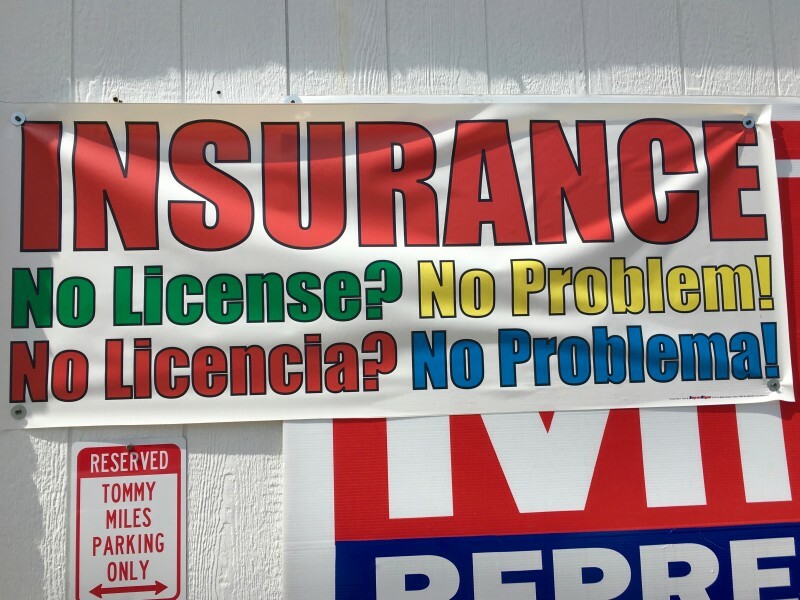 That hasn’t worked very well, in part because it’s too cumbersome, in part because some of the Hispanic parents speak dialects with little resemblance to traditional Spanish. At the start of the last school year, Herring gave the parent orientation in both English and Spanish. But as the non-Hispanic parents sat through the lengthy translation of her remarks, she could see them growing restless. The school has added two temporary classrooms to accommodate the new students, but staffing hasn’t kept pace. “If I had one interpreter per classroom that would help, but there’s no way,” Herring said. 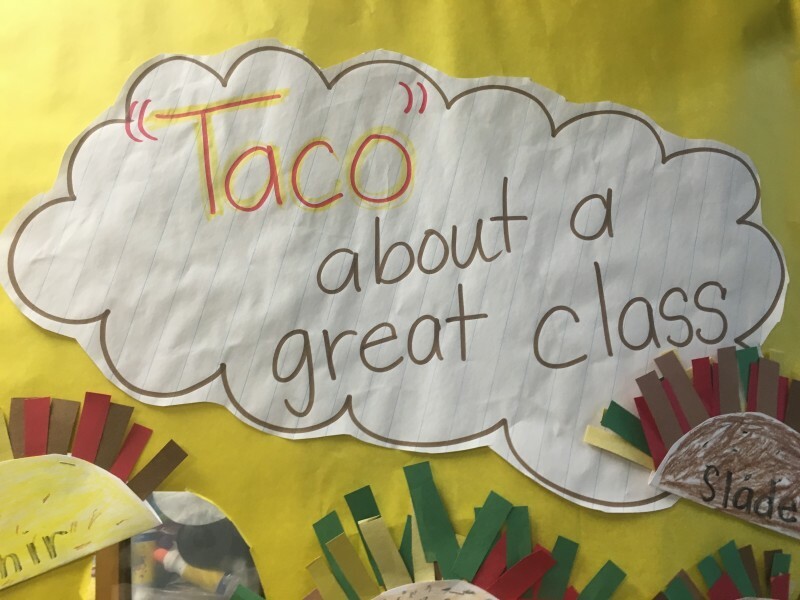 On Cinco de Mayo, Hernandez was busy translating in Ms. Crotwell’s class, where the door is adorned with a sign that says, “Taco about a great class.” ELL teacher Kathy Vaughn asked some of the Hispanic students questions in English, giving them a chance to show off their progress. “Where are you from?” she asked one boy, who fumbled his answer. Luis Vega, a first grader who wore his hair slicked back Elvis style, stepped in to help. “¿De donde vienes?” he translated. While Hernandez was available to on that May day, he has to triage the needs of 21 teachers every day as interpreting needs arise. The school’s other Spanish-speaking staffer helps out from time to time but is not hired as a translator, like Hernandez, and must focus on teaching English to ELL kids. Much of the time, Crotwell is forced to rely on bilingual kids like Luis to interpret for their less fluent classmates. Spanish-speaking students spend three hours a week in an ELL classroom, where they focus on improving their English. The school has two full-time teachers who are certified to teach ELL and two uncertified assistants to help them. A Mississippi native, Vaughn lived in Brazil, where Portuguese is spoken, for several years when her husband was a Southern Baptist missionary there. Her two children attended a Brazilian school where no one spoke a word of English. 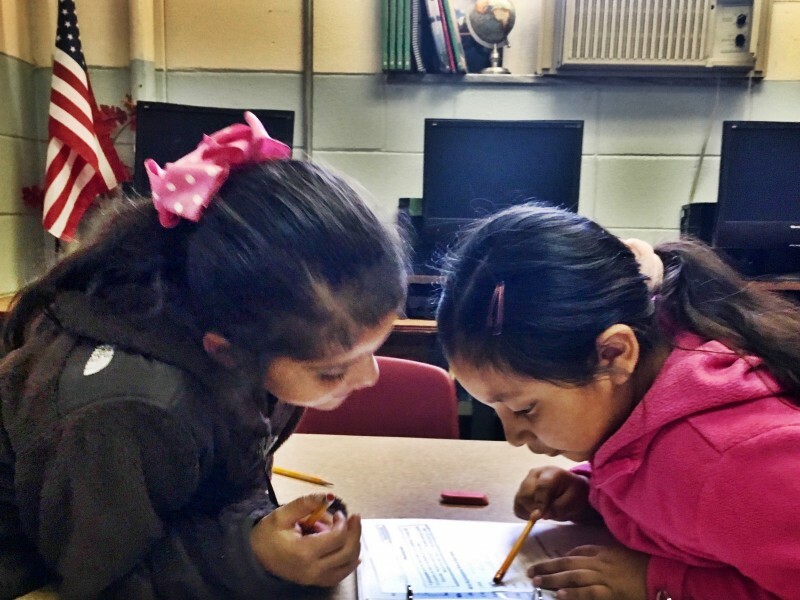 In Morton, the kids who are still learning English get pulled from their regular classrooms for about three hours a week to work with an ELL teacher, even though linguists consider this “pull-out approach” the least effective way to teach English language learners. “That’s the least favored model as far as what the outcomes look like, but one does what one can,” said Patricia Gandara, an education professor at the University of California, Los Angeles. By far the most effective model is dual-language immersion, in which students spend half their time learning all subjects in English, half in Spanish, Gandara said. Extensive research shows significant cognitive benefits accrue to students who learn more than one language. 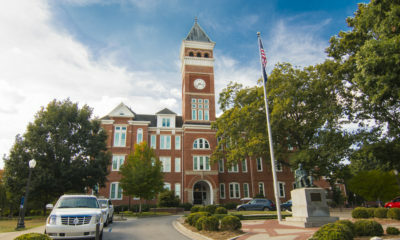 Both North Carolina and Georgia, two southern states with substantial Hispanic populations, have recently taken steps to encourage dual-language programs. But in states such as Mississippi, where immigration is a more recent phenomenon and resources are scarce, this approach hasn’t yet taken root, Gandara said. Schools without adequate resources use the pull-out approach and turn to bilingual students to help carry the load, as Morton is doing. Although imperfect, this approach can benefit both the student translators and the ELL kids they are helping. Harrison-Henderson, the state ELL specialist, said that good teachers know how to teach children in the same classroom who are at different levels of learning. They tailor their instruction to the individual needs of individual students. In the same fashion, they can adjust their teaching to meet the needs of ELL students, she said. With ELL teachers in short supply, Mississippi is trying to give regular teachers the tools and training they need to assist English language learners on their own, she said. The state has posted training videos online and organized several summer training sessions for which demand has been robust. One approach that enables teachers to do this has a cumbersome name: Sheltered Instruction Observation Protocol, or SIOP. Developed by the Washington-based Center for Applied Linguistics, this method allows English learners to master the language while studying subjects such as math, science or social studies. The Tupelo School District, in the northwest corner of the state, has found the approach to be effective. SIOP emphasizes using visual aids, both pictures and real objects, to convey concepts. And it encourages teachers to connect whatever content they are teaching to the culture and traditions of ELL students. In Morton, some newcomers have sought assistance outside the classroom to help their kids keep up. They have found help from an unlikely source — the Sisters of St. Francis of Dubuque, a group of nuns from Iowa who operate a tutoring center in town. The sisters have various missions in high-poverty areas outside their home state and were already running education centers elsewhere in Mississippi. Nine years ago, they decided to extend their efforts to Morton, where they run the Excel Community and Learning Center. Every afternoon, about 40 kids come here for help with homework and English. Excel offers English and Spanish classes for adults in the evenings, too, and runs a Meals-on-Wheels program for people in need. The families who come to the center have high hopes for their kids, said Sister Rita Goedken, who has worked there since 2008. Among the center’s students is Manuela Lucas, a first-grader at Morton Elementary. School was a big challenge for Manuela, who, like many of her Hispanic peers, didn’t speak a word of English when she started. Her mother, Mariela Lucas, wants to help her daughter, but she can’t read or write in Spanish, let alone English. 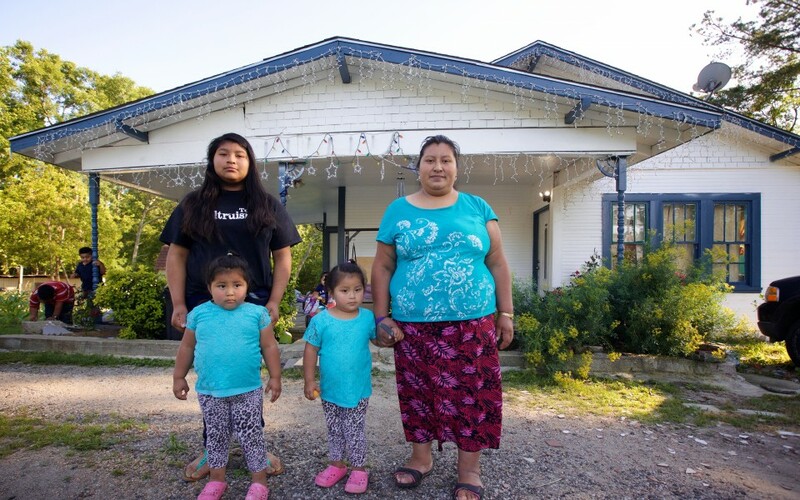 There were no schools in her home village, and she speaks a Guatemalan dialect that bears no resemblance to Spanish. “I felt so sad because I couldn’t help her with her homework. I couldn’t explain anything,” she said, speaking through a translator. 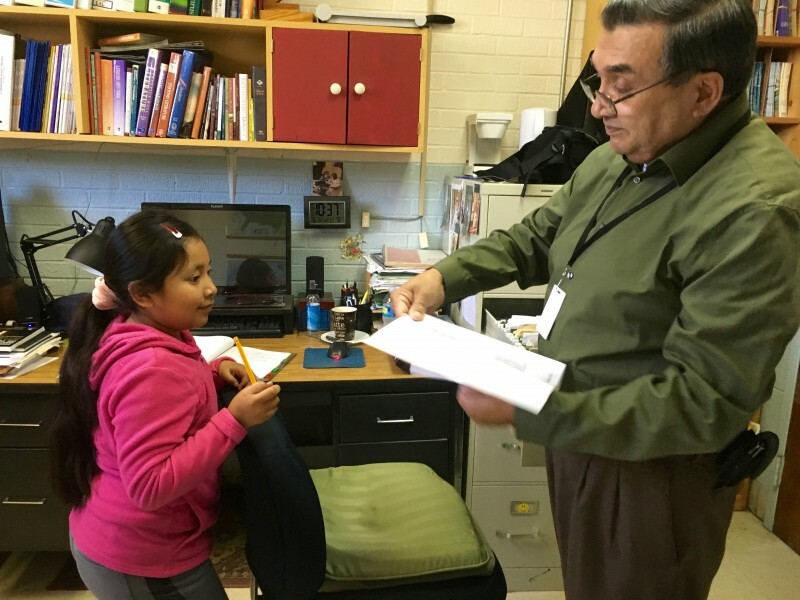 Among the Scott County teachers helping students like Manuela is Luis Cartagena, the man who once recruited Hispanic workers to the poultry plant. After he left that job, Cartagena worked as a bus driver and janitor for the county schools. When school officials discovered he was fluent in both English and Spanish and had some high school teaching experience in Chile, they took him on as an assistant ELL teacher, although he lacked formal training. He didn’t take the ELL job for the $19,000 salary. “I took it because I love teaching,” he said. Cartagena teaches at four different Scott County schools, each with smaller Hispanic populations than Morton Elementary. He has a tiny office at the Scott Central Attendance Center, a K-12 school just outside Forest, the county seat. “I have to struggle for all the resources I get,” he said. The maps on his wall — culled from National Geographic magazines — came from his personal collection. He uses old textbooks that the district was going to discard, teaching passages that he has translated and copied himself. He even built a bookcase to store them.